The Delaware River communities offer a wealth of activities, events, restaurants, lodging, shopping, etc. on both the NJ and PA side of the river. The Counties of Bucks (PA) and Hunterdon (NJ) further expand your possibilities. Join us for an afternoon, a day, or several days exploring what the area has to offer. Below is an ever-expanding list of our favorite places in the area as well as links to additional web resources. If your favorite spots are missing, CONTACT US (to send an e-form message). This natural area comprises a portion of a small forested island surrounded by the Delaware River and the Delaware & Raritan Canal. A trail along the towpath of the canal reveals a lowland floodplain forest dominated by sycamore, silver maple and tulip poplar. Several rare plant species are found in this natural area. 44 Camping Spots and Visitor's Center on site. 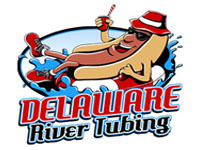 Enjoy a hot day in the sun at Delaware River Tubing, located in Frenchtown, NJ. Every admission includes a FREE BBQ lunch at "The Famous River Hot Dog Man". Enjoy lunch on picnic tables in the water, halfway on the trip! 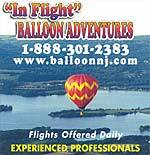 Hot air balloon rides 365 days/year - EXPERIENCED PROFESSIONALS serving NJ, NY and PA. Only about an hour from New York City & Philadelphia PA and yet over beautiful picturesque hills, fields and historic homes. Inline and Quad Skating. Private Parties, Birthday Parties, and Special Events. Only one mile south of downtown Frenchtown on route 29. Small Town Coffee House with light fare such as: bagels w/fixin's, chili, soups, sandwiches & paninnis, salads, sweets, and ice cream. 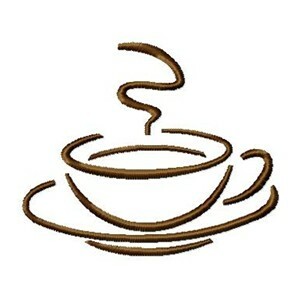 Serving several brews of coffee, loose tea, lattes, chai, cappuccinos, hot chocolate, and fresh brewed iced teas. Old world charm, outdoor dining, and award winning Chef. Join us for cocktails, lunch, or dinner. The Frenchtown Inn combines all for an experience to wow your taste buds. Experience comfort and luxury at The National Hotel from richly appointed and unique guest rooms in which to relax and escape today�s pressures, to our quality dining choices, where a friendly and attentive staff can help you unwind as you enjoy local flavors of the area. 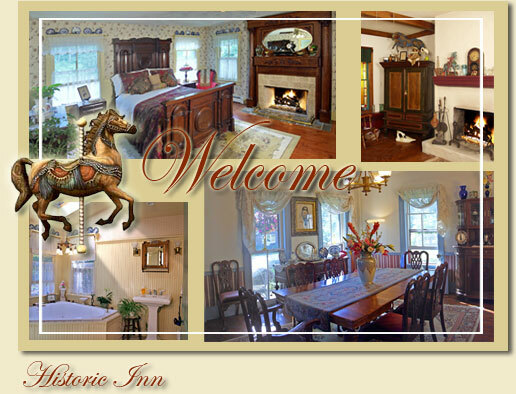 Charming 1878 Victorian B&B located in the splendid riverside village of Frenchtown NJ. Private Cottage, stunning Suites and three elegant Guest Rooms. The Widow offers the perfect setting for a getaway weekend or romantic overnight. Stroll to shops, galleries, restaurants and majestic river views. 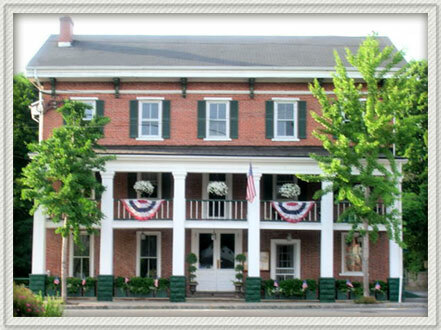 Enjoy French country dining and lodging at an 1857 Bucks County, PA fieldstone inn that was originally built as a mule barge stop on the canal. Dinner and Sunday Brunch served in Solarium overlooking canal and river or in Tavern with fireplace. Lodging for guests in six guestrooms including Cottage. 3 miles south of Frenchtown, NJ and 13 miles north of New Hope, PA the Inn is close to beautiful Parks, scenic roads and quaint Covered Bridges. 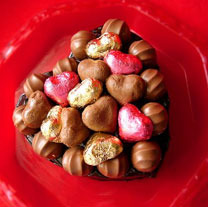 Chocolate... Candy... Chocolate... Cookies... Chocolate... Sweets... Chocolate. Need we say more? Who can resist? And why would you? Call for Hours of Operation. In a world where we are ever more surrounded by the manufactured, the plastic and the mass-produced, we have come to believe that the most precious objects to be found anymore are those that are made by hand. We love anything that has a story behind it, anything an actual human being made and cared about, anything old and unique�anything that they aren�t making any more of these days. As consummate travelers, we are always discovering such beautiful objects in hidden corners of the world.